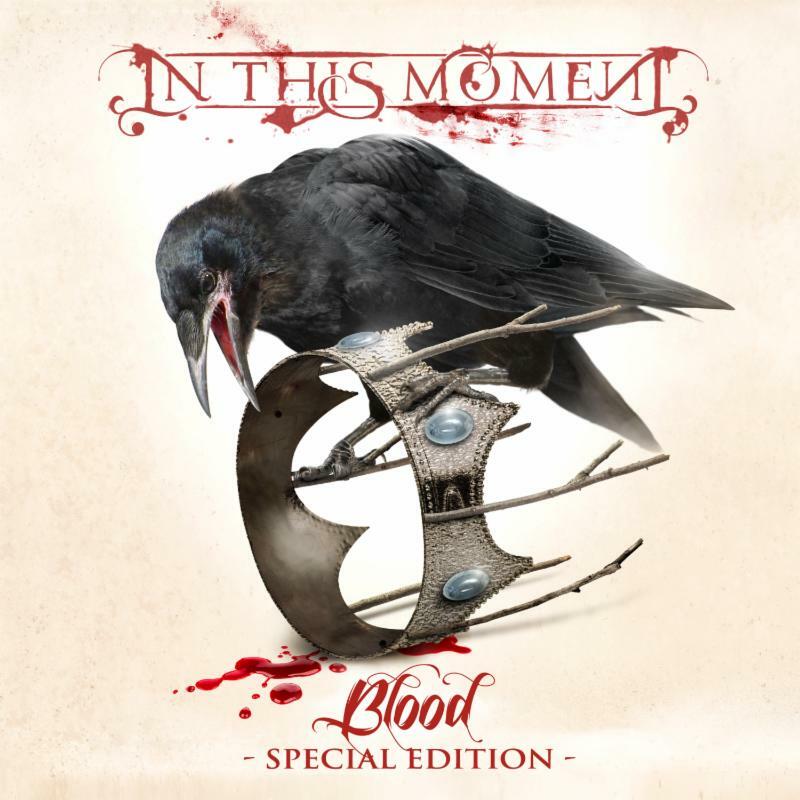 IN THIS MOMENT and Century Media Records are proud to announce the release of ‘BLOOD’ Special Edition, a two-disc set featuring the band’s breakthrough album ‘BLOOD’ and the bonus live DVD ‘BLOOD AT THE ORPHEUM’. The package is set for a January 21, 2014 release in North America and includes a bonus cover of the NINE INCH NAILS track “Closer” on ‘BLOOD’, and the live DVD featuring a full 100-minute concert shot in Madison, WI, earlier this year, behind the scenes footage and interviews. In Europe, ‘BLOOD AT THE ORPHEUM’ will be released February 17 as a limited edition standalone DVD, and digitally in an audio-only format. “Whore” is the third single from ‘BLOOD’, and continues to climb at radio, where the track currently sits at #16 with a bullet on the Active Rock charts. Released in August 2012 on Century Media Records, the album made the highest debut of the band’s career, entering the Billboard Top 200 at No. 15 and selling more than 20,000 units first week. 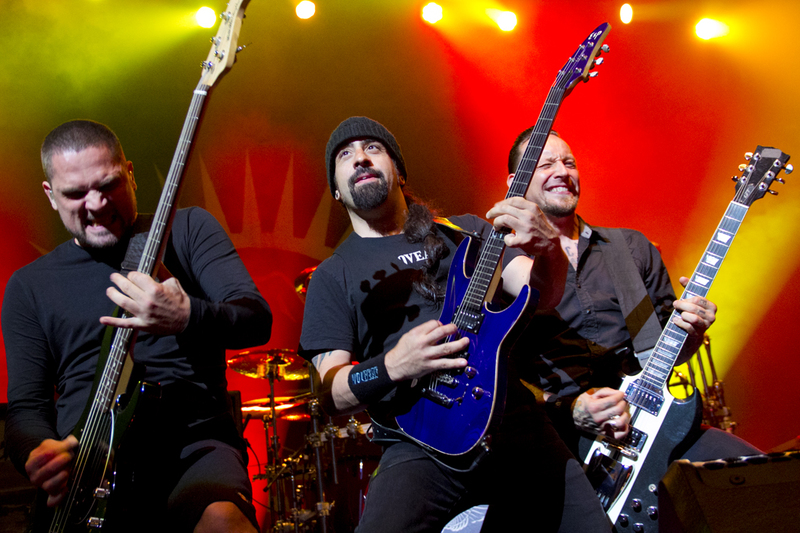 The record has emerged as one of the best selling rock albums of the past year, recently surpassing 200,000 in sales according to SoundScan. The video for “Whore” [CLICK HERE to watch] is turning heads with its stark, voyeuristic feel, combining the theatrical aplomb that marks IN THIS MOMENT’s live performances with visuals that are as compelling as they are disturbing. 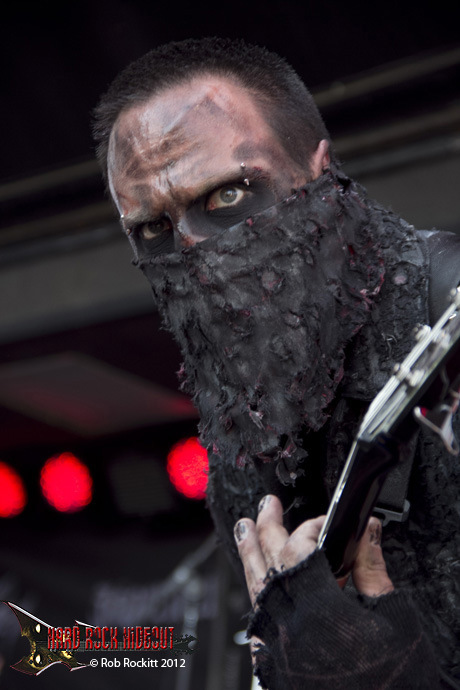 Directed by Robert Kley, who was also at the helm for the band’s “Adrenalize” [CLICK HERE to watch] and “Blood” [CLICK HERE to watch] videos, “Whore” co-stars MOTIONLESS IN WHITE frontman Chris Motionless. “His look is so perfect for the dirty vintage feel of the video, and he was a perfect gentleman while being violated by me,” says ITM frontwoman Maria Brink. 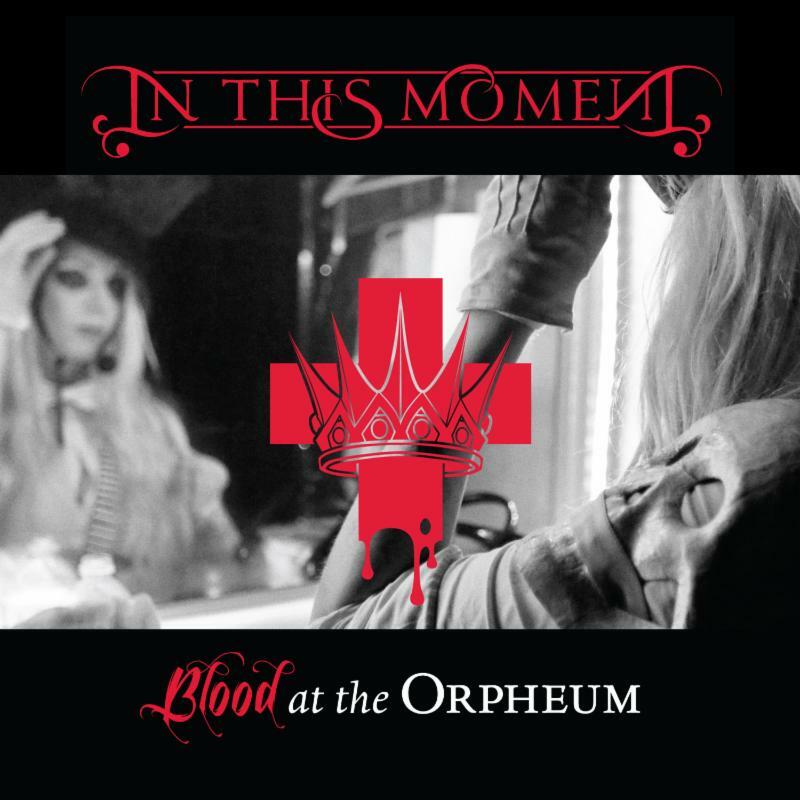 IN THIS MOMENT are kicking off 2014 with THE HELLPOP TOUR II. 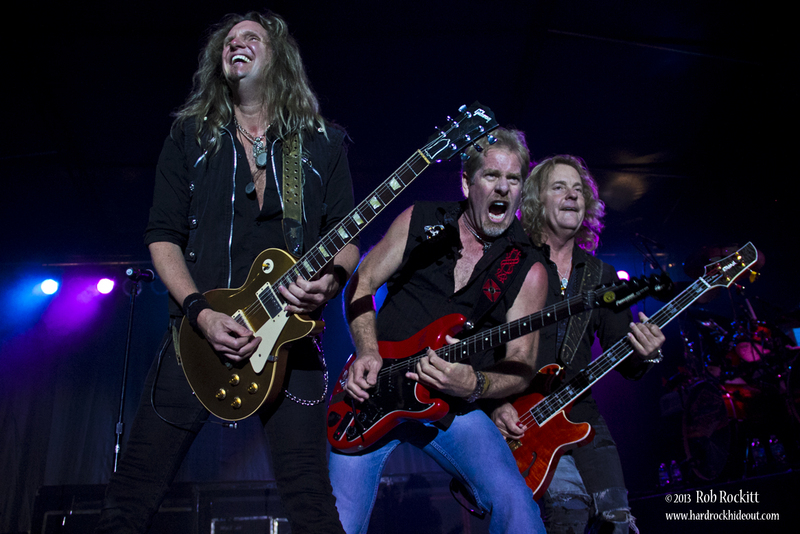 Set to launch January 3 in Seattle, WA, the month-long tour wraps January 25 in Cape Coral, FL, where the band will then make a return engagement on the SHIPROCKED cruise January 26-30, which sets sail out of Miami, FL, to Great Stirrup Cay, Bahamas. For more information, visit www.shiprocked.com. 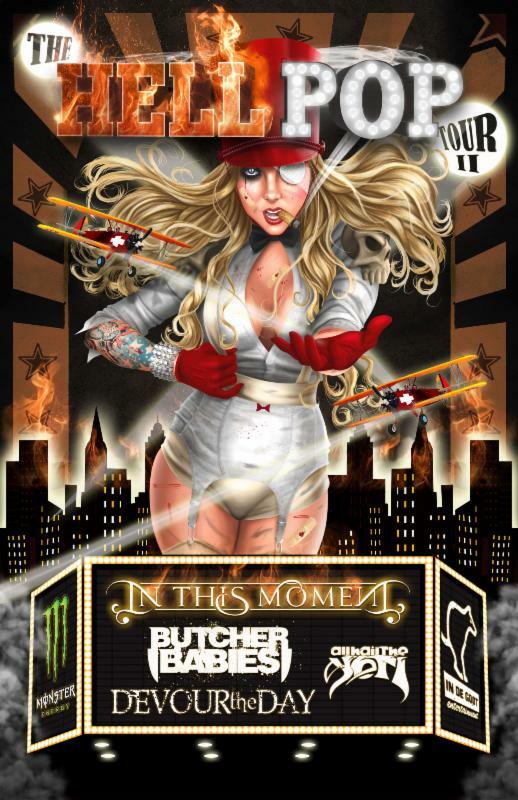 Joining IN THIS MOMENT on HELLPOP II are BUTCHER BABIES in direct support, DEVOUR THE DAY and ALL HAIL THE YETI. Two Crowd Surge fan packages are available for the January run, one with a ticket and pre-show meet-and-greet, and the other including a ticket, t-shirt and meet-and-greet. For more details on fan club packages, please visit the official In This Moment Facebook page. Tickets for all shows are available now, and complete dates are listed below.